Urban Nest gets the lead mention in the new All Things Real Estate magazine's feature article: "30 Under 30," which highlights several amazing PDX boutique agencies! Vote for Urban Nest as WW's Best Real Estate Company! It's that time of year again! Willamette Week's annual Best of Portland Reader's Poll is taking nominations now, and we want your vote for Best Real Estate Company in PDX! There’s a ton of amazing stuff going on in Portland, Oregon, pretty much all the time, so it’s extra helpful to have a guide. 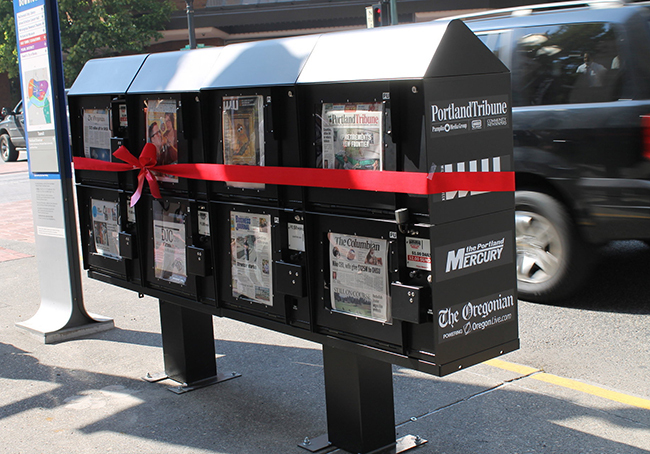 Find out which of the PDX weeklies best suits your personality: WW or the Merc. Best of Portland? Yeah, We're In There. Last week we were excited to learn that Urban Nest Realty and our own Rachel Freed had each earned a spot in the top three for Willamette Week's annual Best of Portland! We are so proud to have assembled a unique group of smart, kind, and enthusiastic individuals who provide excellent service to their clients, work respectfully with other professionals, and collaborate to make Urban Nest Realty the wonderful, welcoming and innovative place it is. We are pleased to have received Honorable Mention, and will continue to always strive for our best!